Notes on reprogramming vector detection DNA isolated at passage 5 or 6 after colony picking. 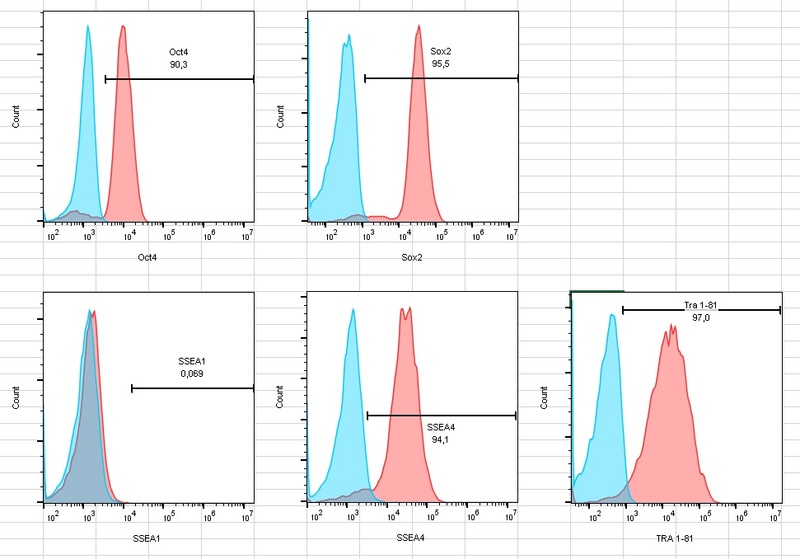 Quantitative PCR with the exogenous pluripotency genes LIN28, SOX2, and OCT4 in iPSC lines. 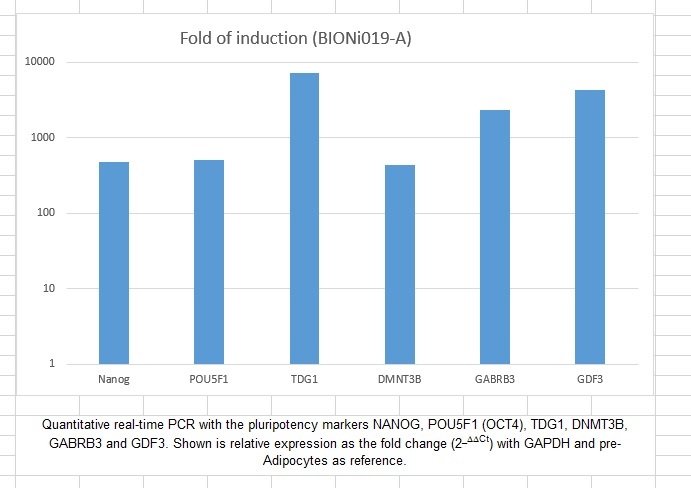 Normal human dermal fibroblasts (NHDFs) transfected two days before with hOSKUL served as a positive control and a sample without template served as negative control.